With the first round of the men’s NCAA basketball tournament kicking off on Thursday, it only seems fitting that Jimmer Fredette is back to playing in the U.S.
John Gambadoro of Arizona Sports 98.7 reported that the last-place Phoenix Suns have signed Fredette through the end of the season, with a team option for the 2019-2020 season. Gambadoro previously reported that Fredette and the Suns were meeting Thursday to discuss a possible contract. 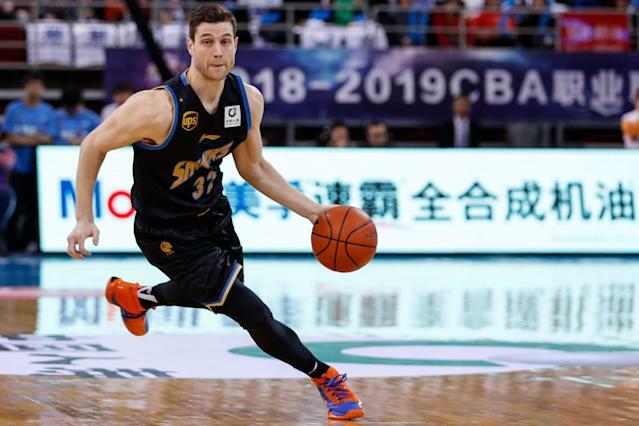 Fredette, 30, has been playing for the Shanghai Sharks of the Chinese Basketball Association since 2016, the same year he played his last NBA game. After an illustrious college career with BYU (that included being named the NCAA Division I men’s player of the year), Fredette was drafted 10th overall in 2011 and traded to the Sacramento Kings on draft day. But Fredette struggled with his defense, and he bounced from the Kings to three other teams in fairly quick succession. When things didn’t work out with the New York Knicks, Fredette moved to the Sharks of the CBA and found some success. In three seasons he’s averaged just over 36 points per game and become a popular player. The Suns are 17-55 and have 10 games left to play, which might be why they’ve taken a flier on a player who hasn’t attempted an NBA shot in three years. The CBA isn’t nearly the same level as the NBA, but with nothing to play for, the Suns are willing to see what three years in China have done for Fredette’s game.